Less than 10 percent of people can quit cold turkey. In the journal Tobacco Control, researchers found that smoking cessation drugs are no more effective than quitting cold turkey. This means that nicotine replacements are only helpful for a small fraction of smokers. For even these people, it was just as effective to quit cold turkey. In the study, 787 smokers in Massachusetts were tracked after they quit smoking for five years. During that time, they answered three surveys about their smoking use. With each survey, an additional third of participants had relapsed. Relapse rates were the same for people who quit cold turkey or used nicotine replacements. While most participants were able to quit temporarily, it did not last. The study showed that most people are unable to maintain their non-smoking habits. Why Are Nicotine Replacements Used? Since nicotine replacements do not seem to be helping, it seems odd that they would be approved in the first place. The main reason nicotine replacements are sold is because they help people to initially quit. For the first six months, people are twice as likely to remain nicotine-free in clinical trials. Unfortunately, clinical trials do not mimic the real world. The first problem with the trial is that it was too short. Other than this, the clinical trial failed to mimic real-life social situations. People in the real world spend time with friends, go to work and have families. You have to test nicotine patches in these situations, or you will never know if they work. Nicotine replacements are not an effective long-term solution. To quit, smokers need to find something that will work. Changing social habits has been shown to help. Many people smoke in the same social situations like on break, driving to work or at a bar with friends. Avoiding these situations reduces the chance of a trigger making you light up again. While modifying your behavior helps, it is not enough to get rid of the mental and physical dependency. If you use nicotine patches and gums, you are only replacing one form of nicotine with another. For a long-term solution, you have to rewire the way your brain, body and attitude react to nicotine. Hypnosis has been shown to be one of the most effective ways to end a nicotine addiction. This technique induces a state of deep relaxation. In this state, you are more open to suggestions and behavioral changes. During the hypnosis session, you unlearn the habits and dependency that you have on nicotine. Because of this, you can quit smoking without the typical agitation and cravings. 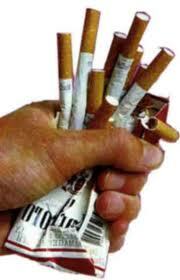 Basically, hypnosis targets the root cause of smoking so that you are truly prepared to quit. While nicotine replacements help in the short-term, you need a long-term solution to actually quit. Hypnosis provides that solution.